In the early days of human spaceflight, two giants stood at the forefront of it all- the United States and the Soviet Union. Interestingly enough, a series of delays that would push NASA’s Mercury mission back a month and a half, forcing it into second position to the Soviet Union’s Vostok program. 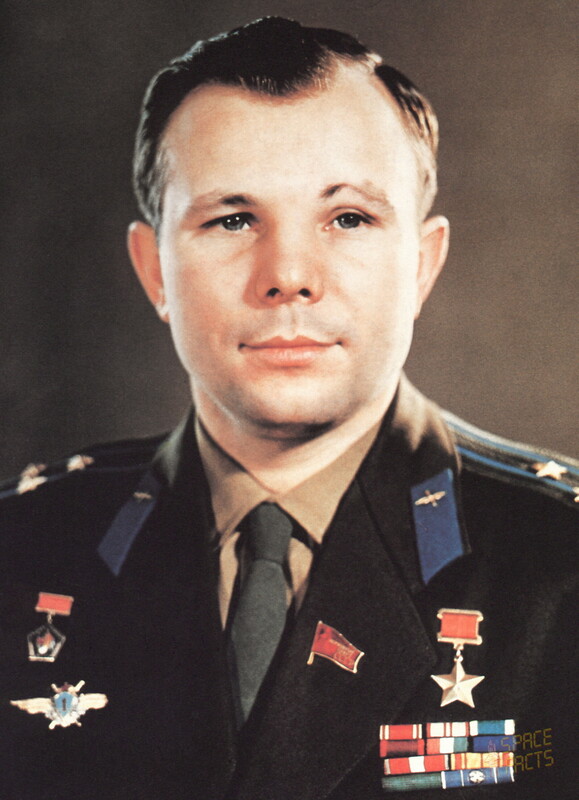 Taking full advantage of this, the USSR was able to be the first of the two powers to make history by sending the first man into space, our Hero of the Month for April, Colonel Yuri Gagarin. Gagarin was born in a small town near the Gzhat River in what we now know as eastern Russia, the son of a carpenter and a dairy farmer. The invasion of German troops and subsequent occupation of the region greatly impacted the Gagarin family, forcing them into poorer conditions than ever before. Two years after Axis forces took the the area, two of Gagrin’s siblings, his older brother Valentin and sister Zoya, were sent to Poland for slave labor by the German troops for two years. After the war ended, Gagarin began an apprenticeship at the age of 17 in a steel plant, working part time at the docks on the Volga, and studying agricultural machinery at a technical school. On weekends, while studying, Gagarin would make his way over to an airfield and learned to fly as an air cadet with a club, first earning his wings in a biplane and later on, a military Yak-18 trainer. When discussing his flight in the Yak-18, Gagarin would later say “That flight filled me with pride and gave meaning to my whole life” . A love and deep appreciation of aviation was now firmly cemented in the mind of the future astronaut. Immediately after finishing school, Gagarin, like numerous other Soviet men who came of acceptable age, was drafted into military service, first with the Army. Thanks to a number of recommendations, 21-year-old Yuri was sent on his way to flight training, where he learned to fly the MiG-15. After graduation, now-Lieutenant Gagarin married a medical technician, Valentina Goryacheva, and given his first posting to an airbase in Murmansk as a fighter pilot. The saying that smooth seas never made a skillful sailor applied well to this situation, with the wording changed a little. The skies were constantly rough, and the weather was incredibly pitiful. Nevertheless, Gagarin slogged through and became a highly competent pilot. Fast forward three years later to 1960, beyond Sputnik and Laika the space-flying dog, Gagarin was selected as one of twenty candidate cosmonauts (the Soviet term for astronauts). From there, the group was run through the proverbial sieve, and Gagarin once again emerged as one of of the Sochi Six, the men who would be the first Soviets to fly into space. Each of these candidates were chosen after psychological and physical assessments with an emphasis placed on height. All candidates had to fit into the tiny Vostok capsule; Gagarin himself was only a diminutive 5′ 2″ tall. But his refined, affable and friendly personality made him a towering giant above the rest. His calm, collected nature, devotion to discipline and preparation, as well as his scientific and mathematical knowledge brought him to the very forefront as one of two candidates selected for the first launch. On this day in 1961, Gagarin, callsign Cedar, finally strapped into the Vostok capsule aboard aboard the large Vostok-K. At 06:07 UTC, he was launched into space officially beginning the 1 hour, 48 minute mission that would make Yuri the most famous man in the world. For safety purposes, the entire flight was automated as engineers and scientists were still unaware of how the human body would function in space. After a single orbit of Earth, at 07:55 UTC, the Vostok 1 spacecraft reentered the atmosphere and ejected its sole occupant, as was procedure, and not ten minutes later, Gagarin landed, ending his mission. When news broke of Yuri’s flight, he was widely applauded and congratulated around the world. Now a celebrity, he was forced to tour abroad by the Soviet government to promote the supremacy of their space program. This turned out to be far too much for the farm boy-turned-cosmonaut, and a year later, he was given a prestigious job working on creating a reusable spacecraft. Worried that any flight thereafter would endanger and possibly kill Gagarin, the Soviet military tried every effort possible to keep him out of the cockpit. After the disastrous Soyuz 1 mission, which saw the death of Vladimir Komarov, a friend of Gagarin’s, Yuri was barred from training or flying any space missions ever again. Nevertheless, he took the necessary steps to re-qualify for his old job- a MiG-15 pilot. Seven years after Vostok 1, the Soviet Union’s worst fears came true when Gagarin crashed during a routine training flight in a MiG-15. His remains were cremated and buried in the Kremlin Wall Necropolis, an honor granted only to heroes of the Soviet Union who had distinguished themselves in service. The crash remained shrouded in mystery for years, without a single definite answer as to how or why it happened, beyond the “official” explanation broadcast by the Soviet government. 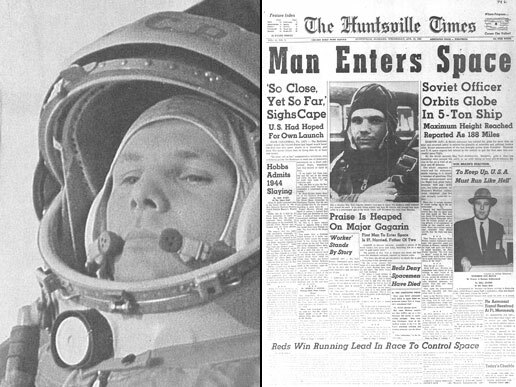 Thus, it ended for Col. Yuri Gagarin, 34 years of age.